Why hello there! 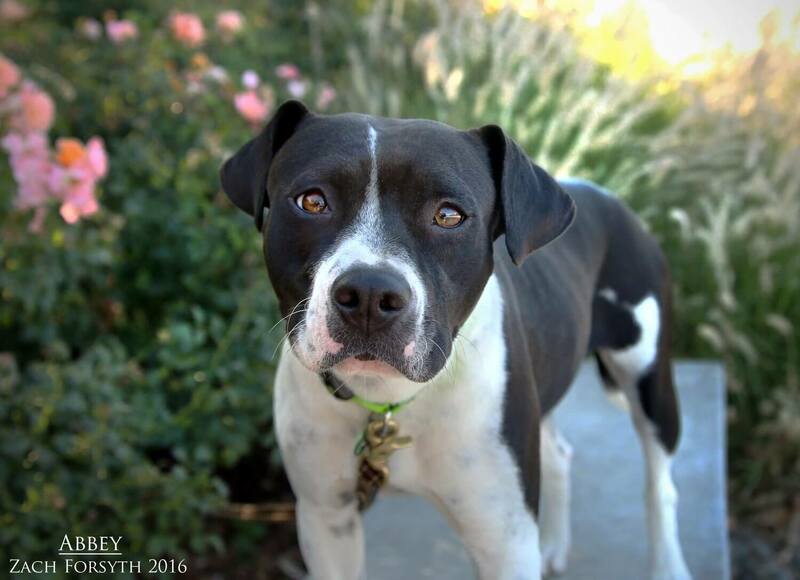 My name is Abbey and I am 10 month old Boston Terrier/Beagle mix with lots of love to give! I am a bit of a sensitive girl, but with patience and some treats, I will hop right in your lap! I love to explore and always enjoy my afternoon strolls, sniffing away and looking for my next big adventure. I just think the outdoors are so much fun! You know what else is fun?? Squeaker toys! Boy, I just love to play fetch with my squeaker toys. When I’m not playing by myself with my toys, I enjoy playgroups with other pups here at Pixie! Cats are ok too! Since I am a bit shy, I would need to be in a lower key environment with kids 10 and over. Because I am a beagle and I love to sing, townhouses and apartments aren’t the best for me. I am just a young pup looking to bond with the special someone who can show me the ways of the world! PUPPY CLASSES ARE MANDATORY FOR MY ADOPTION! Will you be my snuggle buddy? Then fill out an application today, so we can meet! I come to you spayed, vaccinated, and micro-chipped with an adoption fee of $300.